But inequality has increased in recent decades and it's having the opposite effect. Inequality is preventing people with less income and wealth from reaching their potential in terms of education and invention. There's also less entrepreneurship. 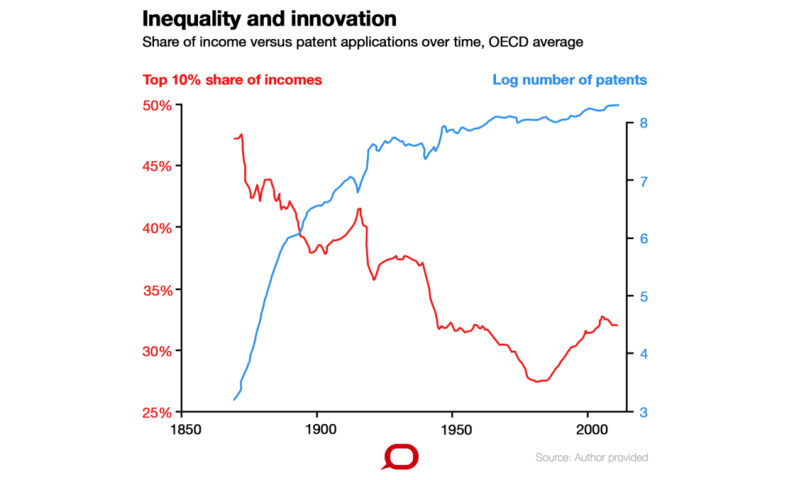 What's been driving inequality since the 1980s is changes to economies - countries trading more with each other and advances in technology. As this happens old products and industries fade while new ones take their place. 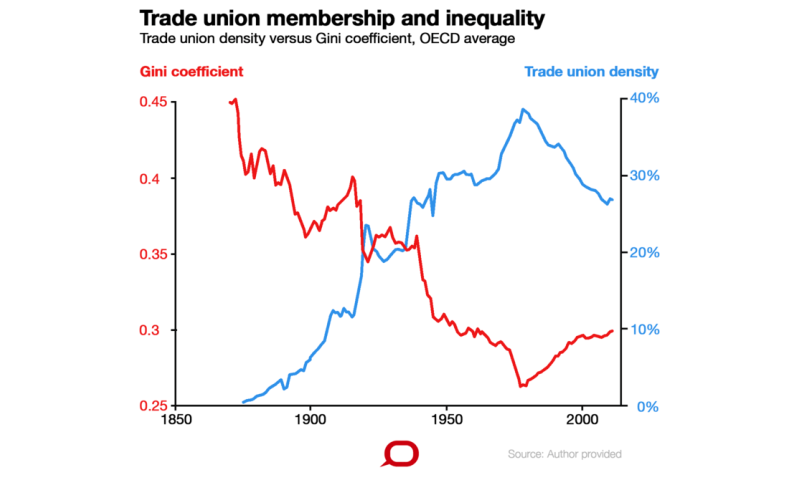 Where workers' jobs are protected, for example with union membership, there's often less resistance to innovation and technological change. When financial markets work well, everyone gets access to the amount of credit they can afford and can invest as much as they need. We found that for a nation with a credit-to-GDP ratio of more than 108%, low income earners are less discouraged by not having a share of the wealth. There's less of a dampening affect on innovation. I know, I have an idea. let's create a study where the outcome is we give the poor credit so they won't be poor anymore. We'll look like geniuses. Credit does not help anyone make more money and certainly doesn't help them get out of debt. If anything, credit make people more poor as credit doesn't help them find a job or a find better job so they make more money to pay off the debt. Credit also has this thing attached to it that actually makes others more money and you less; it's called interest. Sure, the idea sounds good, but common sense says it isn't a practical solution...or an accurate one. Just because someone can suddenly afford to buy products they can't normally afford will only temporarily stimulate economic growth. It will then damage it when the poor can't pay back the debt. Then the poor are in a worse place than they were before the credit.